PRIVATE SESSION FEES - SEE BOTTOM OF PAGE OR CLICK HERE! Patricia V. Scott, Ph.D., C.M.T. Patricia (“Patti”) is a Certified Medical Hypnotherapist*Certified Master Trainer with the International Association of Counselors & Therapists, Life Fellow with the International Medical & Dental Hypnotherapy Association, Adjunct Faculty & Trainer with Alpha University (LA State Licensed School - prior to 2013), Certified Parts Therapy Trainer (C.P.T.T.) through the Tebbetts Parts Therapy Foundation, Certified Hypnotic Fat-Ban Practitioner Trainer with the International Alliance of Professional Hypnotists, and a Field Supervisor for the Hypnosis Practitioner Trainer Institute’s internship program. She opened Unlimited Possibilities Hypnosis in 1992 in Southern California (Los Angeles area) and moved her practice to Palm Harbor, Florida, in 2003. Shortly thereafter she established the UP Hypnosis Institute and has since established herself as a distinguished educator in the fields of Hypnosis and NLP, both for professionals and the general public. Patricia has authored several self-help and professional training books and programs and is a contributing author (Chapter 10) for "The Art of Spiritual Hypnosis", edited by C. Roy Hunter. Patti’s entertaining and educational speaking style has been enjoyed by the American College of Cardiology, American Board of Hypnotherapy, International Association of Counselors & Therapists, Rockwell International, International Training in Communications, Aetna US Healthcare, Hypnosis Education Association, American Holistic Nurses Association, International Medical & Dental Hypnotherapy Association, International Scoliosis Association, Louisiana Hypnosis Organization, Argosy University-Tampa, Mid-America Hypnosis Conference, New Age of Caregiving Symposiums, Women in Networking Conferences, HypnoThoughts Live & on-line Conferences, "Insight Talk" and "The Caregiver Hour" Radio Shows (guest appearances), Florida State University Medical Department, www.ThinkUPShow.com weekly TV show Host, and countless others. Prior to 1992, Patti enjoyed over 20 years as a professional singer, actor, dancer and published songwriter. Her diverse career included everything from Opera to Country Music, and Musical Comedy to TV Sitcoms and films. She performed with the Opera Repertory Company of New York while studying with world renowned Baritone, Richard Fredericks, and has performed with Dolly Parton, Waylon Jennings, Jerry Lee Lewis, Randy Travis, Jim Ed Brown, Ronnie Dove, Nat Stuckey, Johnny Paycheck, Jerry Wallace and others. She toured and recorded albums in the 1970’s with “The Nashville Impact” and recorded original songs with Vince Gill, Kathy Matea, Dave Gibson and others in the 1980’s. She was a professional songwriter in Nashville for Silverline Music - Now Warner-Chappel Music (Oak Ridge Boys Publishing Co.) and her song “Congratulations” was released by Reba McEntire. She has extensive stage, TV and film credits and has had numerous articles published throughout her career. During her Show Biz years Patti used meditation, self-hypnosis and imagery to visualize and actualize her goals, overcome nerves and creative blocks, memorize lines, keep her weight and health under control, and get into character for her roles. FROM SHOW-BIZ PRO TO HYPNOSIS-NLP PRO – HOW DID IT HAPPEN? So, how does a professional entertainer become interested in hypnosis? In fact, Patti has studied hypnosis and the power of the mind since the early 1970’s. After a devastating back injury at age 19, a doctor read her a long list of activities she would NEVER be able to do in her life. Having a natural instinct about her body’s ability to heal itself, she set out on a quest to prove the doctor wrong by studying mind-body medicine, hypnosis, yoga, nutrition, and taking supplements and doing weight-training to strengthen her spine and improve her immune system. Her determination paid off and she fulfilled her childhood dream for the next 20 years in show business. She even starred as “Val” in a professional production of “A Chorus Line” the year she turned 37, an announcement that surprised and impressed her much younger co-stars and surely succeeded in proving that doctor wrong! Since being Certified in Hypnotherapy in 1992, Patti has used her unique experience, energy, talent and enthusiasm to inspire others in private and group training, convention seminars, keynote addresses, and in books and CDs on her system of “Mind/Body Cohesion©”. She enjoys teaching others how to use the power of the mind to achieve their highest potential, overcome obstacles and explore life’s Unlimited Possibilities! Author: "Scripts, Tips & Tid Bits - For the Evolving Hypnotist"
​Author: "Mind Body Cohesion - The Key to Unlimited Possibilities"
*NOTE: Patricia does not treat, prescribe for, or diagnose any condition. She is a properly trained facilitator of hypnosis/hypnotherapy and NLP (Neuro Linguistic Programming) and is not practicing any other profession that requires a license under the laws and regulations of the State of Florida. Hypnosis is not a substitute for medical or psychological treatment. Hypnosis for subclinical purposes requires no referral. 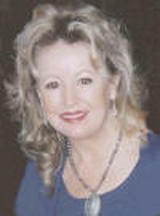 Patricia only practices therapeutic hypnotherapy within the guidelines of the law and Florida Statute 485.